Facing a growing population and uncertainties in agricultural production and yields resulting from climate change, the need to adapt farming systems is a necessary step towards food security. AFC provides services for intensification and diversification of optimized agricultural crop and livestock production techniques for market and environment-oriented agricultural development and pro-poor growth. With regard to crop production this comprises sustainable water- and soil-management as well as the expedient use of fertiliser and herbicides and best practice in organic crop production. 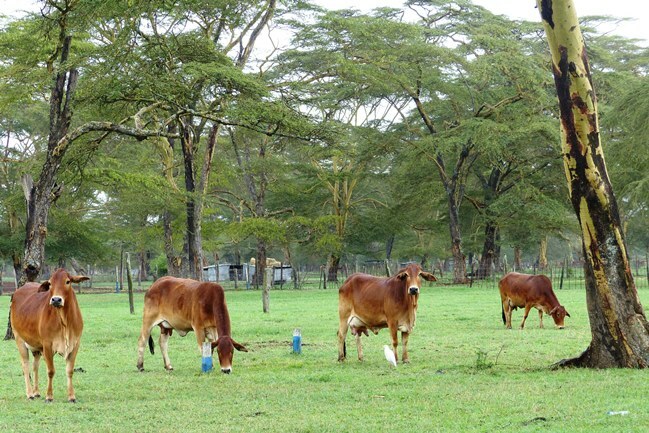 Looking at livestock production AFC seeks to implement an integrated approach considering integrated crop-livestock systems based on Conservation Agriculture as sustainable solutions. Supporting farmers’ organisations is a major focus in many of our projects, since such organisations are usually in a better position to formulate farmers’ needs and they are generally more efficient in the delivery of services to their members than public agencies. Capacity building measures to improve the technical and management capabilities of such organisations are thus important activities in most of our projects.